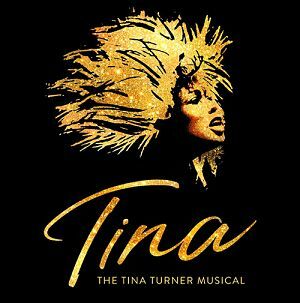 TINA – The Tina Turner Musical is being presented in association with Tina Turner Stage Entertainment who are collaborating on this world premier with writer Katori Hall, Frank Ketelaar and Kees Prins,with set and costume designer Mark Thompson, choreography Anthony Van Laast and musical supervisor Nicholas Skilbeck. Nkeki Obi-Melekwe is playing Tina Turner with Ashley Zhangazha as singer and music arranger Ike Turner, who controlled Tina physically, mentally and legally for over two decades. Maria Omakinwa plays Tina’s mother Zelma Bullock until 22nd June 2019 when Madeline Appiah returns to the show and Aisha Jawando will play the alternate Tina. Edward Bourne has been cast as marketing executive Erwin Bach who later became very significant to Tina, with Oscar Batterham playing her astute manager Roger Davies, and Irene-Myrtle Forrester will play Tina's Grandmother GG, Howard Gossington plays record producer Phil Spector and lyricist Terry Britten, Francesca Jackson plays Ike and Tina's manager Rhonda Graam and Aisha Jawando is Tina's sister Alline Bullock, Aisha J, Sia Kiwa, and Tanisha Spring play the iconic Ikettes who were the backing vocalists for the Ike and Tina Turner Revue and also recorded discs in their own right. Jammy Kasongo will play Tina's father Richard Bullock and Tina's first love Raymond Hill. They are joined by ensemble membersDaniella Bowen, Chloe Chambers, Joelle Dyson, Lejaun Sheppard, Kibong Tanji, Jayme-Lee Zanoncelli, Cameron Bernard Jones who also plays Tina's son Craig and Ashlee Irish who plays Tina's son Ronnie and Joseph Richardson, and swings Gavin Alex, Derek Aidoo, Joshua Da Costa, Amandla Elynah, Hannah Jay-Allan, Angela Marie Hurst, Leisha Mollyneaux and Samuel J. Weir. Most buses stop on Waterloo Road just round the corner from the Young Vic, including routes 4, 26, 76, 77, 149, 168, 171, 176, 188, 211, 341, 501, 505 & 521. The Young Vic is in a residential area so car parking is limited and subject to restrictions. Public transport is recommended but if you drive you can park at National Car Park Ltd on Upper Ground, Coin Street and at Waterloo Station. The theatre is in London's congestion zone operating 07:00 - 18:00 Monday to Friday, excluding Public Holidays. Infrared system in the auditorium with 5 headsets and 5 neckloops. Induction loop at left window of the box office. 2 spaces for wheelchair users plus one companion in Box D. The doorway is too narrow for motorised wheelchairs. Alternative space for a wheelchair user beside C1 in the Dress Circle on a slight slope. Transfer seat at C1. Adapted toilets off main foyer at Dress Circle level.